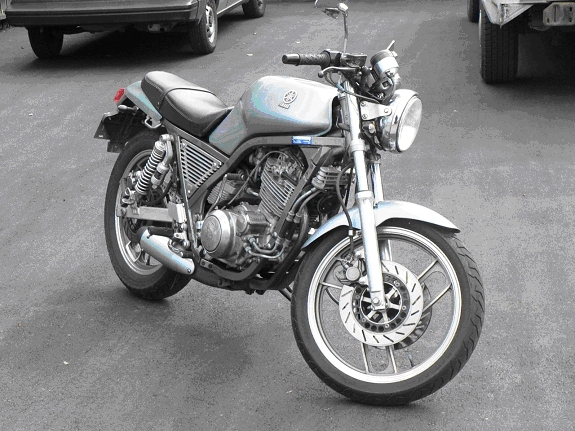 Rare modern classic, 1986 Yamaha SRX 600. Single cylinder, twin port. Twin carburetors. Factory rearsets and clip-on bars. Twin front disks brakes and single rear. Great fun bike. Lots of torque and great handling.